We’ve talked before about how important it is to get involved with your local community—and today’s FoodTruckr Hero is a great example of how you can attain success by embracing the people, places, and events around you. 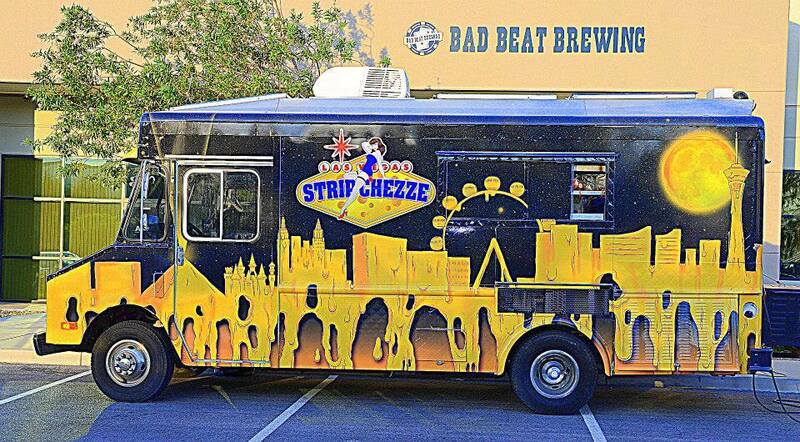 Stripchezze is a gourmet food truck based in Las Vegas, NV, that serves up a tastily diverse menu of dishes loaded with flavorful cheeses. Whether you’re craving a grilled cheese, mac and cheese, or a cheesesteak, you can find it all here. Obviously, we’re more than a little obsessed with this truck’s menu—it includes items like the Hot Streak (a grilled cheese sandwich packed with pepper jack cheese, Sriracha mayo, and jalapeno peppers and served on Flamin’ Hot Cheeto-crusted sourdough bread) and The Hangover (grilled summer sausage, pepper jack, drunken onions, and a beer cheese spread layered on two delicious pretzel buns). But what we really love about this truck is the way they’ve built their menu and their brand around Las Vegas pride and the way they’ve connected with other businesses and events in their area. If you hadn’t guessed already, Stripchezze is named for both what they serve (cheese, cheese, and more cheese!) and where they serve (the Las Vegas Strip). This concept is reflected well on the side of their truck so that fans immediately know what they’re getting. First of all, we love the look of their logo with the pinup girl and Vegas-style sign announcing this food truck’s name—it’s a simple way to communicate the brand, and it’s eye-catching and memorable. But it’s the cheese-dripping image of the Las Vegas Strip skyline that really gets us (including a starry sky and moon made of cheese!). This wrap tells us that Stripchezze likes to have fun and that they love what they do and where they live. Whether you were another proud Las Vegas resident or one of the city’s countless tourists, wouldn’t that make you want to stop by and see what it was all about? The image of the real Vegas Strip paired with the truck’s logo and a barrage of gorgeous food photos immediately puts visitors in the mood for gourmet eats and an exciting night on the town. This is one food truck that knows how much fun a little excess and extravagance can be—and they’re not afraid to show it! Finally, we love how Stripchezze gets involved with their community by participating in events and promoting other local business owners. On their Upcoming Events page, fans can get a quick look at all the cool places Stripchezze will be heading in the coming weeks. 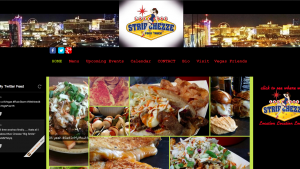 Stripchezze frequently serves at local festivals and participates in a First Friday event in downtown Las Vegas. They also keep a list of other local businesses they recommend (including a photographer, wedding florist, and a kitchen detailing company) on their Visit Vegas Friends page. 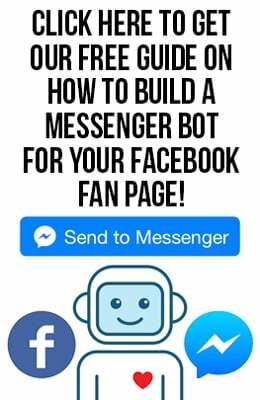 Working with other businesses is a great way to cross-promote, to build connections, and to show customers how much you care about their happiness. It’s also a great way to keep a finger on the pulse of what’s happening around your city so that you know what other trucks are up to and what fans are craving. We love seeing food trucks take advantage of all the exciting things happening in their communities, and we also love it when trucks show off a bit of hometown pride through their menus and their branding. Stripchezze showcases all of this through their truck, website, and connections, and we think it’s a big part of what contributes to their success. Keep up the great work, guys! 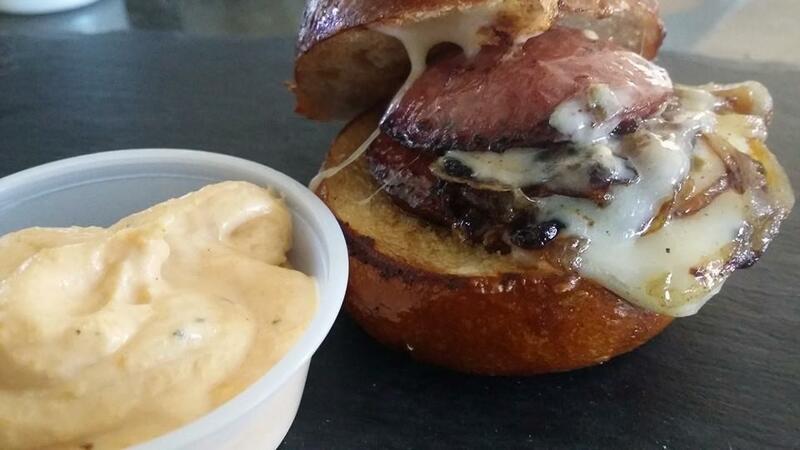 You’re an inspiration to FoodTruckrs everywhere and we can’t wait to see what you’ll do next.